Future was partying with Meek Mill in his hometown of Philadelphia recently, according to an Instagram post made by DJ Akademiks. The Atlanta rapper is shown performing on a balcony with Meek Mill standing next to him. Meek Mill is scheduled to start his 90-day house arrest sentence today (March 1) after being found guilty of violating his probation back in December. 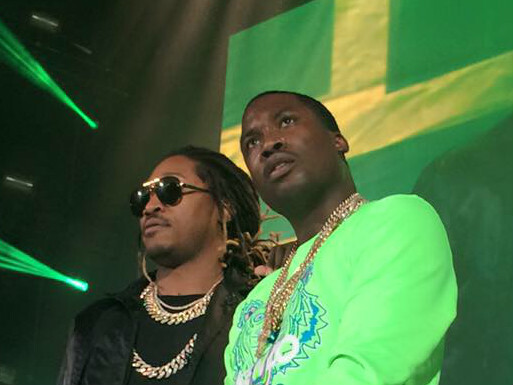 Drake and Future released the collaborative project What a Time to Be Alive in September. Drake was also featured on Future’s solo album, Dirty Sprite 2. Meek Mill and Drake feuded last year when the Philadelphia rapper claimed Drake used a ghostwriter for his verse on “R.I.C.O.” To take shots at What a Time to Be Alive, the Dreams Worth More Than Money rapper posted a picture of small diamond rings, reminiscent of the album’s cover art and the fact that Future bought himself and Drake “World Champions” rings to celebrate the album.